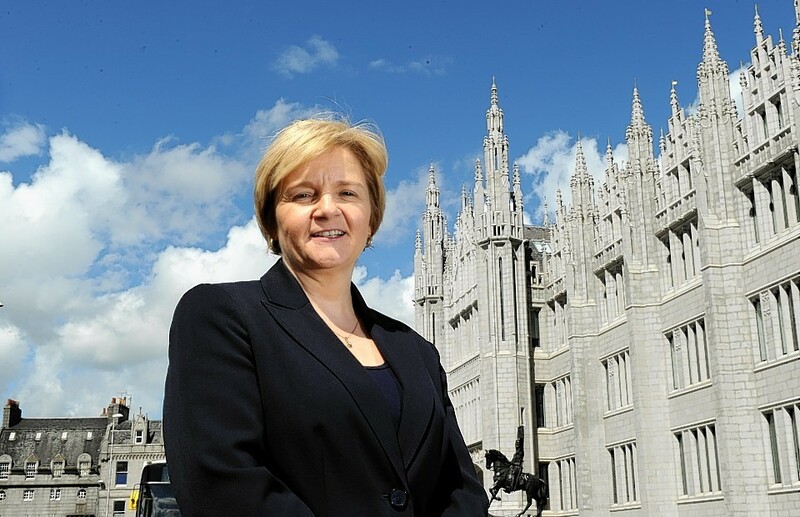 The leader of Aberdeen City Council has accused the Scottish Government and local government group Cosla of ignoring the views of people in the north and north-east. Jenny Laing said she was “dismayed and disappointed” that there would be no Grampian and Highland representation on the Commission on Local Tax Reform and urged SNP ministers to reconsider. The Labour councillor said the 11 politicians, academics and financial experts appointed to sit on the body designed to look at fairer systems of local taxation were from the central belt, aside from one person from Dundee and one from the Western Isles. Ms Laing pointed out that Scottish cabinet ministers recently met in Aberdeen and told local residents how important their views were to them. The group, which will examine alternatives to the council tax to fund services, will be co-chaired by Local Government Minister Marco Biagi and president of the Convention of Scottish Local Authorities (Cosla) David O’Neill. Ms Laing said: “Whilst we welcome the setting up of the Commission on Local Tax Reform we are both disappointed and dismayed that the members of the commission are based very much in the central belt. “Once again the Scottish Government and Cosla have shown little or no regard to the geographical spread of local authorities by not including any councillor out with the lowlands of Scotland. “We would request that they reconsider this decision and offer a place on the commission to a councillor or representative from the north-east or the Highlands. But Aberdeen Donside SNP MSP Mark McDonald claimed the councillor’s claims were “wide of the mark” given representatives from Dundee, the Western Isles and the Borders were members of the commission. “Each political party was invited to nominate their own representatives and Labour chose to nominate Cowdenbeath MSP Alex Rowley,” he added. Mr McDonald said the membership of the commission was jointly agreed by Cosla and the Scottish Government and would bring “strong voices, differing perspectives and experience as well as analytical rigour to the process”. “It is for the commission to determine how it works, but as its remit is centred around an evidence based approach, it will identify any particular circumstances unique to Aberdeen,” he added. The commission will report to the Scottish Government and Cosla in the autumn.